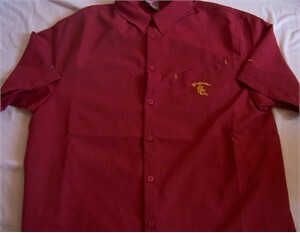 USC Trojans cardinal red Nike Dry Fit button down shirt with pocket, men's size SMALL. LIKE NEW CONDITION. 100% polyester. ONLY ONE AVAILABLE FOR SALE.